I used to mainly grow indoor plants. Most of my time, now, is spent with my perennials and vegetable garden, but I still have a love for houseplants that can be grown indoors. They bring nature into your home and can be used to decorate, and even clean the air in your home. These easy houseplants are a few of my favorites. I’m not as good growing them as I used to be because I am just too busy and I tend to forget small details like watering! But the fall and winter seasons are the perfect time for me to concentrate on what to grow inside. The weather is too cold to grow things outside but we still want some greenery to admire. There are lots of plants that can be grown indoors. Flowering houseplants can be a challenge and will need the right light conditions, but many houseplants are grown more for their foliage. Easy Houseplants to Grow Even if you don’t have a Green Thumb. I’ve written a “how to ” article on each of them. Just click on the photos or links below the pictures and you’ll go to the original article for growing tips. 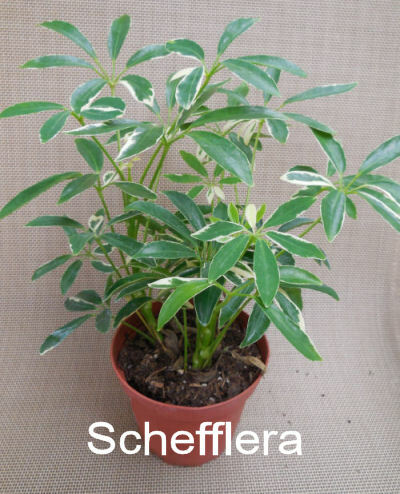 Schefflera is commonly known as a dwarf umbrella. 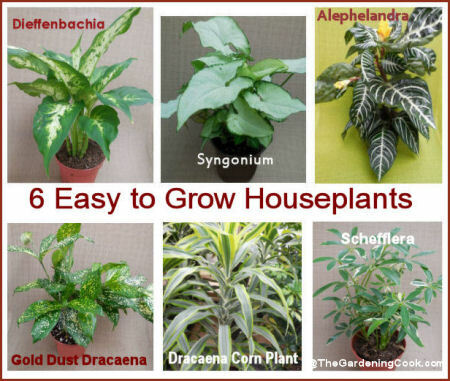 It is easy to grow and can reach quite a good size, even indoors. See my tips for growing a dwarf umbrella plant in a container. Corn Plant. 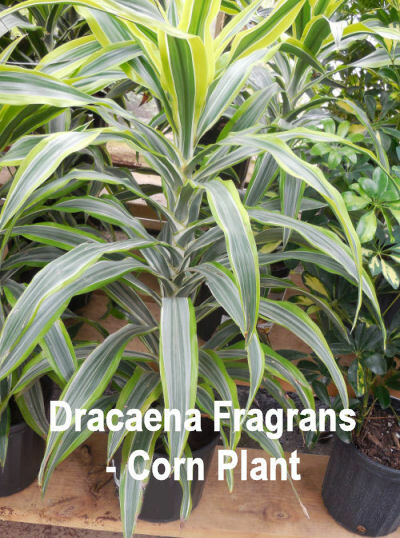 It is easy to see why Dracaena Fragrans gets the common name corn plant. It looks very similar to fresh garden corn plants. See tips for growing Dracaena fragrans. Gold Dust Dracena. The yellow spotted leaves of Dracena Surculosa gives the plant its common name gold dust dracena. The plant is easy to grow and has outstanding foliage. 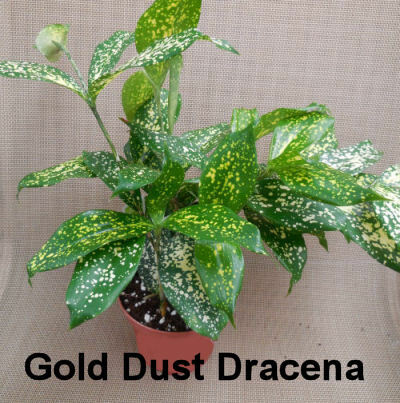 Find out how to grow Gold Dust Dracena. Aphelandra Squarrosa is commonly known as a zebra plant. It’s easy to see why, just looking at the brightly striped leaves. The plant is easy to grow, but a bit more of a challenge to get it to flower. See my tips for growing zebra plant here. Syngonium. The arrowhead shape of the leaves of syngonium give the plant its common name. 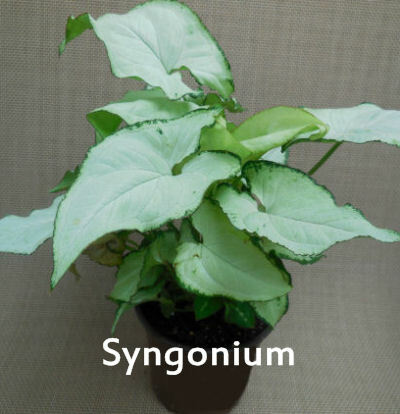 Syngonium podophyllum is also called Exotic Allusion. It is an easy to grow plant with a lovely variegated leaf color. See growing tips for syngonium here. 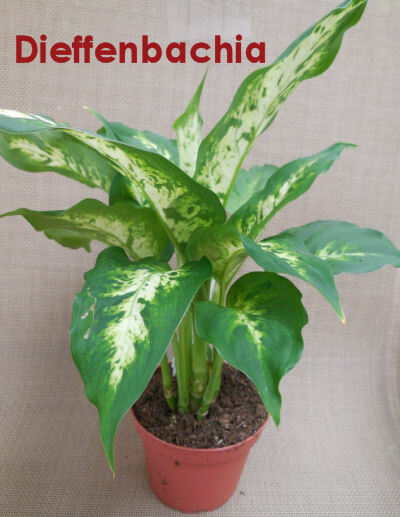 Dieffenbachia is also known as the “dumb cane plant.” This is because all leaves of the plant are known to be poisonous, particularly to small children and pets. It is a very common office plant. For best results, bright sunlight will keep its lovely leaf color. 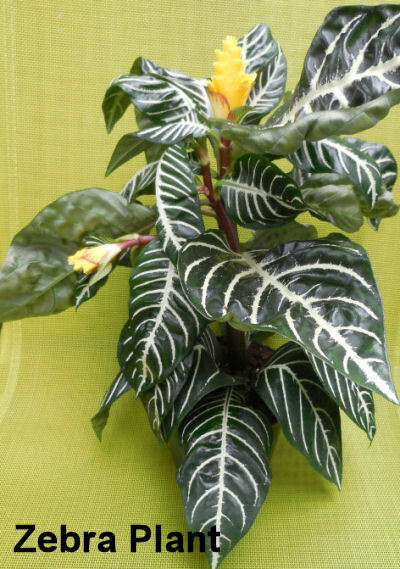 Check out this article for information on Dieffenbachia poisoning. What are some of your favorite easy houseplants to grow? Do you have luck with indoor plants? Do you forget to water like I do, or are your plants in great condition? Please leave your comments below. Thanks so much for doing research on these plants. I have acquired them through funeral dish gardens over the past few years from various passing’s –and inherited my dad’s green-thumb — with your article I will be able to take better care of them. Never knew before as the florist don’t give you the care instructions but they all seem very healthy and growing without too many problems. Thanks again for posting a great post and for My Honey’s Place for re-posting your page/post to hers. Hi Sandy. I am glad you found my article helpful.